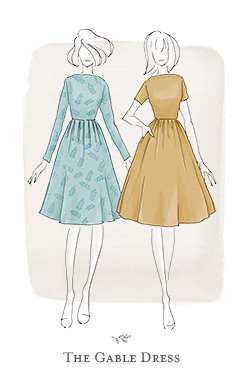 I talk quite a bit in the instructions for Bronte about general guidelines for finding the right kind of Bronte fabric. 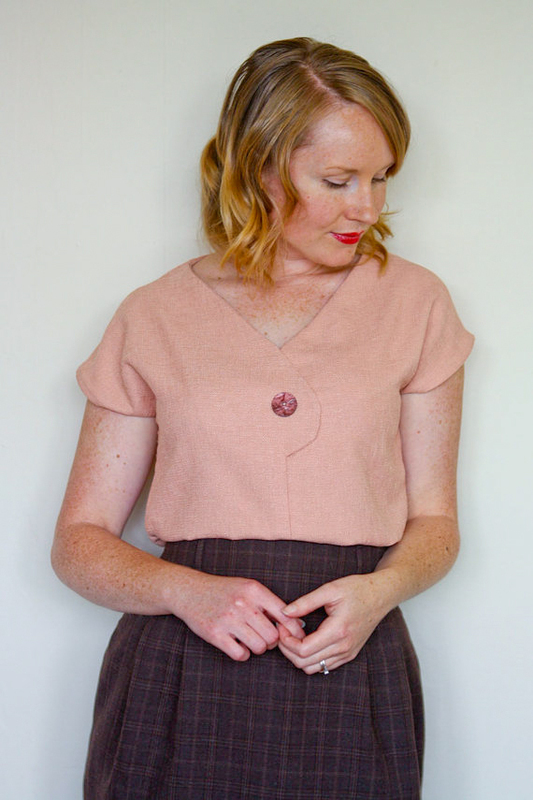 I initially found it hard to describe the type of knit that you need, because being a relative newbie to the knit-sewing community myself, I knew that getting across the feel of a fabric for someone just starting out was a tough call. Enter, the humble pair of cotton underwear. Yep, there it is right there. That's what you want - an Undie Knit. 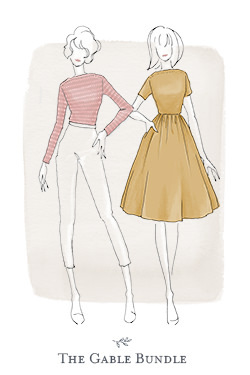 The stretch percentage is how much your fabric will stretch. For Bronte, we want at least a 40% stretch. To figure out if your fabric will work, take a 10cm piece of it and keeping away from the selvedge, try to stretch it to 14cm. If it does so easily (your undies should stretch nicely) then you have a great stretchy fabric that is right for Bronte. To illustrate this a bit further, if you head on over to Fabric.com you can search for fabric by the stretch percentage. You'll want to tick the 30-50% range (on the left, down the bottom). There is no other website that I can find that does this (though please let me know if there are! ), and I find that so strange, especially when the stretch percentage of a knit is so crucial to getting a pattern to fit you properly. So, kudos Fabric.com! (FYI - these guys are not a sponsor, nor do they even know I'm talking about them. Also, I've never ordered from them before so I can't vouch for their quality or service, I just love that I can narrow my search down by this criteria). Stretch percentage is different to the fibre content of a fabric. If you check out the tag on your pair of undies, it'll more than likely say '95% cotton, 5% elastane (or lycra or spandex)' which is the fibre content. I would personally look for a stretchy fibre content of 5-10%, as this should ensure you have some lovely stretch in your knit. Once you let your fabric go after you've stretched it, did it ping back into place? Or did it droop? Can you poke little dents in it with your finger and they stay there? I would avoid this kind of fabric. The last thing you want is for your Bronte to grow into a droopy mess as the day goes on. You should find that your undies will spring back into shape nicely after being stretched and that finger dents don't remain in the fabric. That's the kind of recovery you're looking for in the ideal Bronte knit. 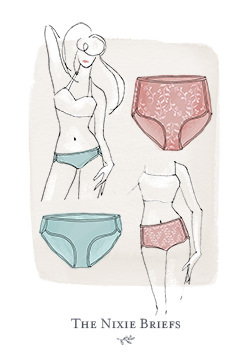 The underwear you're currently holding is about as light as you want to go with Bronte unless you're a knit superstar. Basically, the heavier the knit, the easier it is to handle and I have personally found with light weight knits, they don't tend to have great recovery (though this is certainly not true all of the time!). 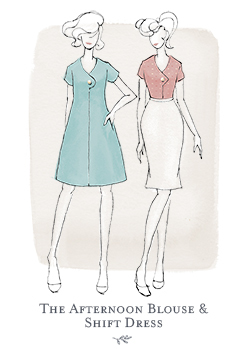 Ideally, you want to find a medium to heavy weight knit fabric for your Bronte. Did any of that make sense? I hope so! Now onto some of my favourite kind of knits! There seems to be a lot of information out there that Double Knits (or Ponte de Roma) has minimal stretch. Well guys, that depends. It's certainly not true for all of them!! If you find one with a stretchy fibre content of 5% or more, then generally, you'll have some pretty great stretch coming from your fabric. I personally LOVE double knits. Like, love them. You know that black and gold Bronte? Yep, double knit. You see, the thing about some double knits is that they are reversible, so the neckline binding on that Bronte is actually the underside of the fabric. Pretty cool huh? 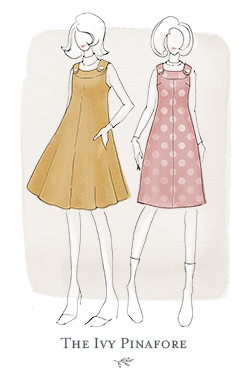 Another thing about double knits is that they are easy to handle (great if you're new to sewing with knits). They don't tend to curl at the edges, nor do they fray, so you don't need to worry about finishing off raw edges if you don't want to. 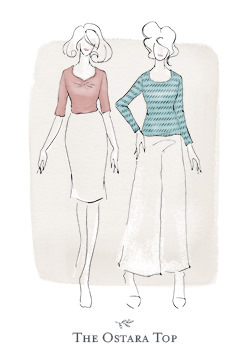 Oh, and double knits are comfy to wear and they don't tend to wrinkle. So, if you're scared of knits, go buy yourself a double knit - you'll wonder what you were ever worried about. You can get man-made jersey knits, but personally, I prefer the natural type of knit that your cotton undies is made up of. They tend to be a great medium summer weight (also perfect for autumnal layering) and they breath really nicely, which means they won't get too hot or sticky as man-made jersey knits can sometimes get. They also tend to have great recovery, will withstand a lot of washing, wearing and general 'beating-up' and they are easy to work with. If you're hunting around your fabric shop and you come across a knit that says ITY on it, you'll probably be all 'What the...?'. 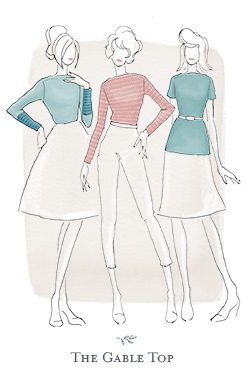 An ITY knit is just a different way of constructing the fabric - a twist is put into the threads as it's being made up. If you're going with an ITY knit, I would recommend making sure it has a stretch fibre content of at least 5% as this generally results in a lovely stretchy knit with great recovery. You can get all kinds of ITY knits made up of man-made or natural fibres in all the colours under the sun. French Terry has a lovely soft outer, that looks a lot like a jersey knit, but it has little loops on the underside. The long sleeved fuchsia Bronte I made is a French Terry, and it's so comfy and warm! 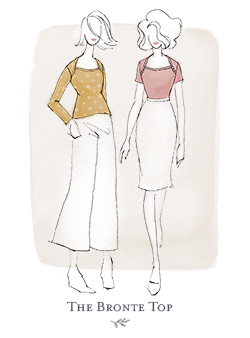 I'm probably a little biased towards 'warm knits' at the moment (seeing as we are in winter down here) but your Bronte top will sew up beautifully in a thermal or merino knit. I have 4 merino knits currently drying that are about to be sewn up into some lovely layering Bronte tops. 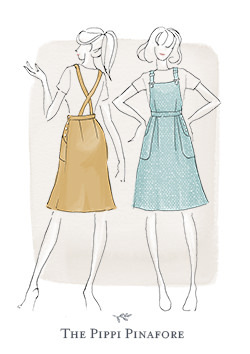 I know it's a lot of information, and it can be a little overwhelming for beginners, but once you know what you're looking for, you'll be able to spot the right kind of knit from a mile away. So, do you think you might dip your toes into knits a little? If you have any questions, please let me know in the comments and I'll try my best to answer them for you. 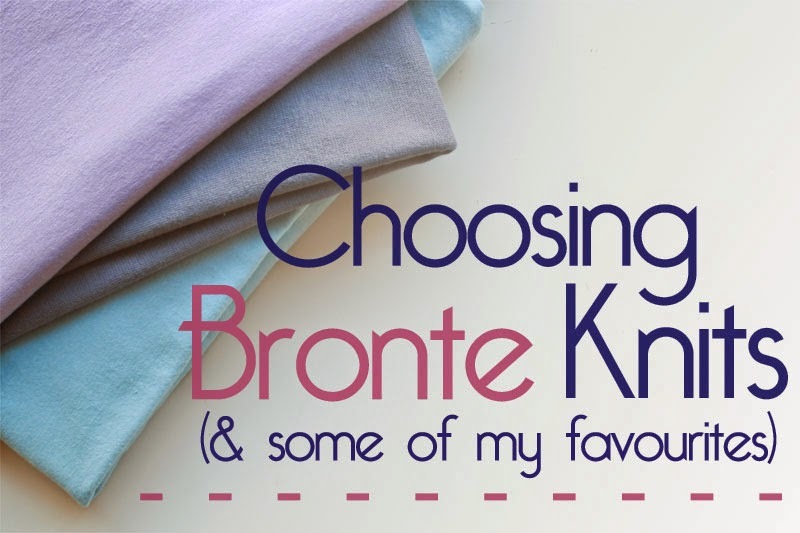 17 comments on "Choosing Bronte Knits (& some of my favourites)..."
Great list! Another thing to consider might be sheer-ness... I've got some leggings made of thing knits that are super stretchy with good recovery, but that fabric does go too sheer for a top when it's stretched! Great note Gillian - you are my knit queen! I should have run this post by you before I published it :) How has the fitting gone with your Bronte? If it helps, I've ordered from Fabric.com several times and have been happy with the service. 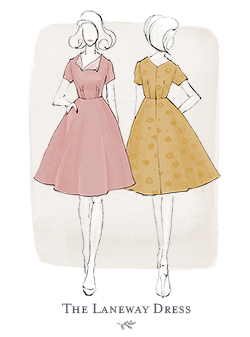 I've already printed out my pattern, going stash diving shortly with those rules in mind. Really looking forward to it; will be nice to have something a little different and this t-shirt is different in a really good way! 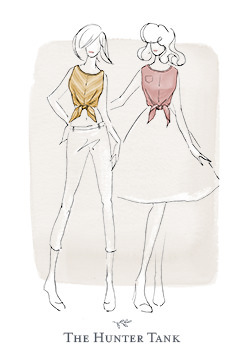 Hi Jen, I have just discovered your blog after seeing the Afternoon Blouse 'everywhere'. 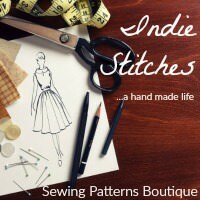 I love your blog and style and I am looking forward to joining in the sew along. I love the version with the buttons. I doubly approve of this pattern as the Bronte's are among my favourite writers. I grew up near Haworth, where they were from, and visited regularly as an A level English Literature student. This is a great guide! I am absolutely terrible at testing for stretch with an actual ruler and have made some unwearable garments because of it. Never again... hopefully. I sew a lot of knits. 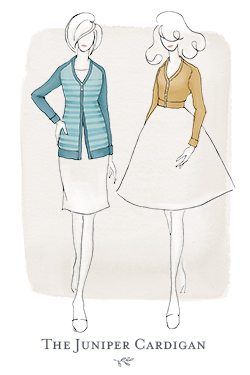 Double knit and ponte de Roma are my favorites. Also, I've ordered quite a bit from Fabric.com. (a great source for double knit). The customer service is excellent. Most of the fabric also is excellent for the price. They take returns without question when that occasional "what was I thinking?" occurs. 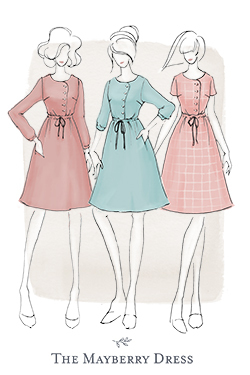 A,hopefully,wearable Bronte muslin is in my near future. I love the Bronte style. Great post! I've already finished a Bronte, and have a couple more planned. I love it! Just curious, where do you buy your merino knit? Do you order it online? I can't find any locally, so I'm trying to find sites to buy some high quality stuff (I'm scared of it being too sheer when I order it online). Hi Shannon! I get my merino from a lady down here in NZ. It's not the prettiest website, nor the most user friendly to be honest, but everything I've bought has been great quality and reasonably priced (some places will charge you the moon!!). 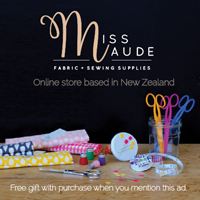 Sandra emails you back straight away with any questions you might have as well, the website is http://www.newzealandmerinoandfabrics.co.nz/ . None of the merino I've bought from her has been sheer, and she does tend to put things like that into the descriptions, but you can always email her to ask.